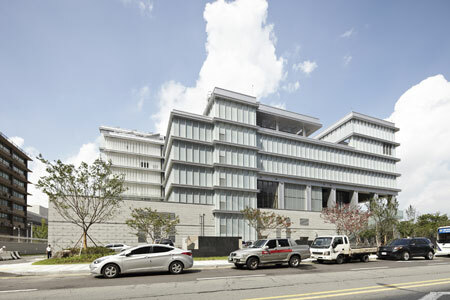 The National Museum of Korean Contemporary History will open on Dec. 26. The National Museum of Korean Contemporary History in Gwanghwamun, central Seoul, will finally open next week, after four years of construction. Located right next to the U.S. embassy, it is one of the major cultural projects of the Lee Myung-bak administration. The purpose of the $41.3 million museum to open Wednesday is to honor the modern economic and social achievements of Korea. The glass-walled seven-story museum houses about 43,000 items in a collection covering the period from 1876, when the Joseon Kingdom (1392-1910) opened its doors to the outer world. It also touches on Japan’s colonization of the Korean Peninsula, the 1950-53 Korean War and the economic growth of the 1970s and 80s. The seven-story museum houses about 43,000 items in a collection that represents Korea’s economic and social transformations since 1876. There has been criticism that the museum is devoted to honoring certain leaders, namely the military dictator Park Chung-hee, who is widely recognized as the president that led Korea’s economic miracle after the Korean War. But the director of the museum refuted such views during a press conference Thursday. The 6,445-square-meter museum was formerly home to the culture ministry. Visitors will see Korea’s first mass-produced “Pony” car and “GoldStar” radio. The Pony was a small rear-wheel drive automobile produced by Hyundai Motor Company from 1975 to 1990. The museum purchased the car from a collector in New Zealand. Visitors can also view a photo slideshow capturing the historic meeting in June 2000 at a Pyongyang airport between the late former President Kim Dae-jung and North Korean leader Kim Jong-il for the first inter-Korean summit since the Korean War. For foreigners who follows news on Korea, there are editions of U.S. weekly TIME and Newsweek magazines from the 1980s with cover stories on Korea’s economic growth and the 1980 Gwangju democracy uprising. The museum also shows belongings of all presidents of the Republic of Korea, starting with Syngman Rhee. The museum will officially open on Dec. 26. Admission is free and it is closed on Mondays. For more information, call 02-3703-9200.